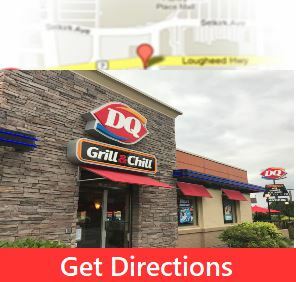 Located in the heart of Maple Ridge, BC on Lougheed Highway and 225th street. We have lots of parking a drive thru and all of our friendly staff who are always happy to help you! We have tons of DQ Cakes in stock ready to go, we can personalize them for you at no charge! We hope to see you soon!